Another important thing to consider, Ranney says, is decreasing “information deficit,” or lack of knowledge. To this end, he created the website How Global Warming Works, which provides short videos explaining the mechanisms of global warming. And that, he believes, makes a difference with some people. “Even in places like Berkeley, we almost tripled their understanding of the mechanisms of global warming, and that increased their acceptance of global warming,” Ranney says of one study conducted at his university. I have always said knowledge does help. Presentation matters. Context matters. That climate is now getting the point of “common knowledge” impacts their results, but so does not having to battle False Equivalence. News orgs bear great responsibility for the slow uptake of acceptance and knowledge. The research co-led by Drs. Christelle Not and Benoit Thibodeau from the Department of Earth Sciences and the Swire Institute of Marine Science, The University of Hong Kong, highlights a dramatic weakening of the circulation during the 20th century that is interpreted to be a direct consequence of global warming and associated melt of the Greenland Ice-Sheet. This is important for near-future climate as slower circulation in the North Atlantic can yield profound change on both the North American and European climate but also on the African and Asian summer monsoon rainfall. The findings were recently published in the prestigious journal Geophysical Research Letters. […] Interestingly, the research team also found a weak signal during a period called the Little Ice Age (a cold spell observed between about 1600 and 1850 AD). While not as pronounced as the 20th century trend, the signal might confirm that this period was also characterized by a weaker circulation in the North Atlantic, which implies a decrease in the transfer of heat toward Europe, contributing to the cold temperature of this period. However, more work is needed to validate this hypothesis. Thanks to the moderators for reactivating FR. To show appreciation, perhaps everyone with OT discussions on the other threads could move them here? If you play around with the numbers, you can see that small reductions in fertility rate can have significant impact over the next 100 years. Given that many with expertise are accepting that we aren’t really going to eliminate fossil fuels in 20 years, it is important to think about how energy transition and demographic transition can work together over that longer, more realistic, timeframe. And, of course, if Ron R wants to offer some concrete specifics on how we go about “paying women not to have children”, perhaps this approach can be incorporated into the calculations. Note that the current COP 25 conference is about how to implement the promises made three years ago. HOT AIR. Literally. I propose a ‘Unilateral Declaration of Future Humans’ Rights’, and criminal prosecution of those who could act to stop harm but don’t. Hi, I’m brand new here and I’m hoping for a bit of help. I live in Chilliwack, BC. I’m part of a brand new community group that wants to work with our local government (mayor and council) to develop some sort of municipal climate action plan. I have no idea where to start. Is this a place where I can access resources and help to start that discussion with the leaders of my community? I use to have a restaurant across the street from a major university and have been holding gatherings with locals, teachers, and mostly students. One student said, i’m certain that we can figure out how to remove all the CO2 from the atmosphere. I said, I hope to hell we don’t because that would mean the end of life on the planet. Everyone in the room looked confused. I paused for a good long while thinking someone would pipe in but NOOOOO! So I said, is it really true that no one in this room understands how important CO2 is to life on this planet? Pause…..no one piped in. It seemed that all thought that CO2 was simply bad. This was 15 years ago but still….I was floored. In all honesty there were a few “adults” that came up to me after and said that they understood but didn’t feel comfortable speaking out. WTF???? A couple of people recently asked me about climatologist Partrick Michaels. I don’t know very much about him other than he denies human-caused climate change. I watched a couple of video interviews of him but didn’t know how to refute his arguments. Does anyone know a good source to go to that does refute his arguments? 1 – change the name of the town to Notsochilliwack, because it’s going to be less chilli soon. for refutations of his common arguments. John Pollack’s @12 recommendation for Michael would also be a good one for you. – Skeptical Science. Real climate is a very good source, but is mostly scientists talking to other scientists. You should find Skeptical Science more accessible. Regarding the problems of poor quality climate science education at school, false equivalence in the media, and climate missinformation in the media. It’s no good just talking about it on websites. You have to complain in writing to the school, the media, or its oversight body as appropriate, and keep on at them. You need to get their attention and get them worried, and if possible get your lawyer to do a covering letter reminding them of any legal obligations they have etc. I have complained to our media on false equivalence, bias, and a certain climate sceptic writer, and his missinformation. They denied there were a problems, but after years of his nonsense he never wrote another article, and the climate coverage improved in quality, at least for a while. It’s obviously very desirable to get population growth rates down for multiple reasons. Look at “two child policy” on wikipedia to see what governments have already done. Mostly encouragement, education and better access to contraception is a huge factor, and obviously promoting higher incomes and better womens rights. Lobby politicians. Lower population growth has to be promoted in a way that shows politicians how it can help various other programmes they are interested in, so makes their life easier. What’s the prevailing opinion in here with regard to the policy proposal that James Hansen came up with, the so called “fee and 100% dividend” idea? We can see the problems that Macron is having with a putative ‘eco’ tax on fuel (especially diesel). People, in this increrasingly populist global epoch have a deep suspicion of government motivation and faith. A totally transparent, egalitarian and I believe potentially very popular policy such as ‘fee and dividend’ is only measure I’ve seen that could appeal across the political spectrum and, critically, to the right wing and libertarian factions that have done so much to distort and politicise science. Why isn’t this proposal getting a proper hearing in the public debate? I’d be very interested to hear some views on here.. I recall some resources may be useful. I’ll get back to you if when I can put my finger on them .. lost in a large bookmarks folder. See what they are doing and from where their ideas/support came from (maybe in the About sections). I would imagine there is a template pro-forma out there somewhere to use as a starting point. Local conditions and needs should be your main guide though. Good luck. Check with the Canadian Federation of Municipalities. They have – or had – a program supporting municipal governments on the development of climate change action plans. INTERNATIONAL signup. We Declare: International Non-Violent Rebellion Against the World’s Governments for Criminal Inaction on the Ecological Crisis. MK 10: Pat Michaels lied to congress when he testified about climate change. He showed just one of the three scenarios James Hansen had tried in a modeling paper, the highest-end one, and claimed that because the climate didn’t match that, Hansen’s model was worthless. More can be found on his Wikipedia entry. This is a great site for learning the nuts and bolts of climate science, which is IMO a real confidence builder when you are confronted with climate change denialist propaganda, or for that matter simple ignorance. Check out the tabs at the top of the site, especially the “start here” tab, which is a portal to essentially a climate science primer. The comment threads are also alive with relevant news–which is one reason that I browse them regularly–and interesting perspectives. They do, however, sometimes get testy, even nasty, so be aware of that. With some time spent here, you’ll get a feeling for how useful any given one of the regular commenters may be for your own purposes as a reader/activist. Excuse me while I toot my own horn for a moment, but I think there’s a larger reason than mere self-promotion. While the current state of the scientific art is tough to digest for most of us, the *past* science is a lot easier sledding, since good chunks of it are already sort of familiar from high school, and also because the questions at issue were more fundamental and could be addressed with simpler research methods and apparatus. That past research also illustrates dramatically how firmly grounded today’s work actually is. If you have any religious background or sympathy, try local churches, as quite a few these days see climate change as a matter of social justice, and may have committees active in the area. (For instance, I chair such a committee at the UU Congregation of Columbia (South Carolina), and we’re slowly making an impact, starting with our church’s composting and recycling efforts, as well as educative outreach both internal and external.) Or perhaps you may have some other social affiliation which could prove relevant. And don’t be afraid to talk about the issue, just in your day-to-day life. We all know that it’s not always easy, but it seems that the issue is becoming more and more ‘top of mind,’ and that, IMO, is essential to further progress. So we want to promote that, without becoming bores or nags, and we want to supply accurate information, which is not always what people get from media or from friends. And to do that, you have to be able to claim a certain level of expertise so you don’t get intimidated by the FUD–which takes us back to the resources you asked about, and about which I tried (apparently at tedious length) to respond above. In a nutshell, Michaels has a legitimate scientific background, but has long eschewed actual research and publication as a scientist for [well] paid advocacy for fossil fuel interests–pure punditry, if you will. #6. I have relatives who live in Singapore. I’m told that that small city-state had a population problem in the past but instituted financial incentives to reduce it. It worked so well, the population dropping below replacement level, that they had to reverse it. I looked up the associated policies and some of them sound a bit harsh and nascent. Clearly they weren’t sure what they were doing, they just knew they had to do something soon. But the fact is financial incentive worked. Can someone explain to me why james Hansen’s “fee and dividend” policy proposal to help markets transition from fossil fuels, isn’t gaining more traction with the political mainstream? It’s the only policy that seems to be able to appeal across the political spectrum. I believe its simplicity and transparency would be a popular option. Just look at the problems Mr Macron is having with his ‘gilet jaunes’. There needs to be a more inclusive solution to carbon taxation…surely fee and dividend is the best proposal? Re #26 Timo said Can someone explain to me why james Hansen’s “fee and dividend” policy proposal to help markets transition from fossil fuels, isn’t gaining more traction with the political mainstream? For over 30 years, U.S. lawmakers have passed laws to enrich themselves (most are already wealthy, or become wealthy in office) and other wealthy people. 70% of the laws benefit the rich. Fee and Dividend most benefits the poor. Yeah, pretty much those things. Wookey, #77 on 4th National Climate Assessment report. Thanks for your comments. I did a bit of reading and watched a couple of Hans Rosling’s videos. I really appreciate Rosling’s and gapminder’s emphasis on factfulness in this post truth world. On their website, gapminder only mentions endangered species once that I could find, and that’s an attempt to make the problem not sound quite so bad because the status of three species has either not changed from critically endangered or has improved slightly. We have but one earth, and like they say, There’s No Planet b. Further, Rosling saw the population topping out at 11,450,000,000 people by the year 2100. Yet we are already experiencing some pretty bad environmental problems at 7+ billion. What the cornucopians seem to be stressing is that things are not so dire for us humans because there’s still plenty of resources left, more trees to harvest, more mountains to mine, more open space to turn into agriculture and cities, more seas to fish etc.. As I’ve mentioned before, I’m not disputing that fact. Sure there’s more, (though most of the easy stuff has already be confiscated). And if we were the only species that mattered there’d be no issue. But we have a whole complex biosphere that makes it possible for us to survive. A complex chain of life, all inter-connected, all necessary. Further, most of us would rather live on a beautiful and diverse world than on one filled to the gills with people. What would be the point of that? I mean if we admit that someday, the planet being finite, we’ll have to stop growing, than why not stop now before we ruin the place. Is this our goal? Iow, stated broadly, Cornucopians are maintaining that if we just wait for the rest of the world to catch up to western-style materialism (something I’m sure business would love) the global birth rate will conveniently settle on ‘just the right population number’. Thus it essential becomes a plea for a century long delaying gamble. In the meantime, the earth will foot the bill. If I’ve misrepresented the man my apologies. I agree that ‘fee and dividend’ does tend toward egalitarianism. However, it’s also in line with free market solutions (if costs are reflected in prices) and low government interference…both ideas compatible with the US political right. I think even Rex Tillerson showed some support for the concept of fee and dividend. Very pretty graphics, but I don’t agree that “the population problem is actually largely fixed”. And, as I have pointed out before, the rate of decline of the population has effects far beyond a naive calculation of reduction in consumption. First, and perhaps too obvious for people to realize, every billion that doesn’t get born is a billion that doesn’t starve to death in a drought, or become refugees, or part of a war (see Syria, multiplied many times) when resources are dwindling. Plug in 1.5 for fertility, and a 100 year period. Would a rational investor put money into difficult fossil fuel extraction situations, like the Arctic or tar sands, when the potential market can’t possibly justify it? So, I would suggest that population should be an equal priority with the energy transition. Over the next couple of hundred years, we could greatly reduce the harm of the changes we have initiated in the ecosystem. 2) a large part of their agenda is motivated by the desire to preserve the profits of fossil-fuel-related business and therefore the status and power that accrues to the proprietors of the same. The practical effect of those two factors on Timo’s question is that the GOP has been innoculated against the effects of reason, particularly in environmental matters, and most of all in climatic ones. Hence, they are as a group unwilling to seriously acknowledge a plan which is eminently reason-based. And politics have been such that Democrats can’t do it alone–though I think that may be changing. Short version: the party in power now exists in large part to protect Big Fossil. Perhaps cornucopians would suggest that we launch studies to try to figure out just how much of nature we and the world can get by on. But how wise would that be – attempting to pare the biosphere down to the bare minimum just so that we can shoehorn more people in? Every new mouth comes at the expense of the whole. Like the rabbit plague in Australia, our numbers are already, and have been for a long time, having a destructive effect on the biosphere. This is the message biologists have been trying to get across. I broadly agree with your point. Having said that not all GOP or republican leaning voters are total idiots. Many see with their eyes and notice from their own experience that climate change is real and is anthropogenic (at the moment). The denial can’t last it becomes more and more ridiculous. Fee and dividend, ist seems to me, is a policy solution that fit all political ideologies. Why don’t more people back it and raise it as a serious option? I’ve been mooting this proposal for years and I’ve never heard a serious argument made against it. The fustration I feel is living in France and seeing the ‘gilet jaune’ protestors. It’s an open goal to discuss a more interesting and effiective proposal other than Macron’s fuel duty. Oops, misunderstood what you were saying–obviously. I agree the population discussion is better here, though my comments on NCA 4 this morning clearly didn’t help that cause. Illustrating the sensitivity to TFR–and noting something I just reaized about the calulator, which is that the start year is defined as 2013–a TFR of 1.9, implemented in 2013, takes the 2100 population down to just over 6 billion. With the ‘age pyramid’ parameter set to the (slightly more realistic?) ‘reproductive ages’ emphasized, it’s a little higher, maybe 6.25 billion or so. #29, RR–I don’t know about ‘cornucopians’, but I think you are definitely misrepresenting Wookey’s (and my) point, which is that global TFR is already NOW at very close to replacement level. And that’s without “the world [catching] up to western-style materialism”–though I think it would be fatuous to deny that increased prosperity in the developing world has a lot to do with the decreased TFRs there. Umm, no, free markets and low government interference are part of the propaganda of the US political right, but in no way do they actually work to implement those concepts. They support monopolies and oligopolies, not competition. They subsidize particular sectors– “crony socialism”, if you like, and restrict others. So, whatever version of carbon pricing you wish to suggest, Republican politicians are at best giving lip service to the concept, but they know they will never have to implement it as long as they are in power. I really don’t understand what you were doing with the population calculator. I suggested specifically that you plug in a fertility rate of 1.5 and a period of 100 years. Set immigration to zero, and use an initial value of 7.5 million (representing billion). What do you get? I get a very rapid drop in population, certainly enough to validate my mechanisms for synergy with reducing CO2, as well as reducing the harm to humans from the environmental destabilization and degradation we have already initiated. Of course, we can’t get 1.5 to happen in 20 years, just like we can’t get FF burning to stop in 20 years. But when I said “play” with the numbers, take .1 increments in fertility and see how it goes. Not a trivial effect. See also my #31 here on FR. Does an abject *lack* of mitigation count? Same story: no significant decline by 2050, considerable decline in 2100 (~3.25 billion population). But I disagree with you on this: “we can’t get FF burning to stop in 20 years.” I think we can. Whether we will or not is another story, of course. If I had to guess, I would venture that we will see a very significant decline by 2038, though perhaps not a complete extinction. People keep thinking that this will be a linear process, and I don’t think that is correct. When it starts to turn more rapidly, it will *really* turn rapidly. #28 Ron R – I agree with you on Rosling. The biodiversity crisis looks even more difficult to tackle than climate change. It also suffers from less awareness by the general public and my impression is that it does not rate highly with them as an issue at all. The 2018 Living Planet Index got a fair amount of press coverage, but I found it striking that their chapter on “The importance of biodiversity” is all about the services nature provides to humans. Its intrinsic value and right to exist merits a single word in passing. Was that a strategic direction aimed at boards of directors, or what? Here we debate the right way to communicate climate change, but (this is just a first impression) the debate about biodiversity is even more confused and marginal. Biodiversity does have one big advantage over climate, that local actions can have local results, so there is at least a possibility of localized progress even if it is heavily contested everywhere. Carbon fee and dividend certainly seems like a good scheme. Simple and not as harsh as Macrons tax, etcetera. I think there are a couple of reasons why carbon fee and dividend is slow to gain traction in America, and possibly elsewhere. Firstly while the basic idea is not new, its only just recently become a policy option in the public awareness. Secondly the political right don’t like taxes for ideological reasons, and although fee and dividend limits size of government, they probably still don’t like it on principle, because its a tax. However I agree not all Republicans think this way, and with a democratic congress things might change, because the democrats are more amenable to taxes. Thirdly I have seen polls where the majority of the public support some form of carbon tax, but politicians clearly don’t. Probably the influence of lobby groups and money in politics. Yes TFR is getting reasonably close to replacement level. Basically Europe is shrinking, Africa is still growing robustly in most parts, and latin America and asia is trending right down. There’s just not much more that can be done in Europe to reduce population growth rates, in fact many european countries are worried about poluation falling and leaving a bulge of elderly dependents. This is important, because it sets a limit on how fast we can realistically expect all countries to reduce rates and makes a number of 1.5 as a global goal look “ambitious” to me. But looking at developing countries in latin america and asia and Africa there is potential to get the rate at least nearer 2.0. Many of these countries already have policies encouraging this but there is a long way to go yet in some parts. It’s really important they implement these robustly as it helps them economically and environmentally. This is essentially business as usual population policy. It’s a realistic starting point to think about. 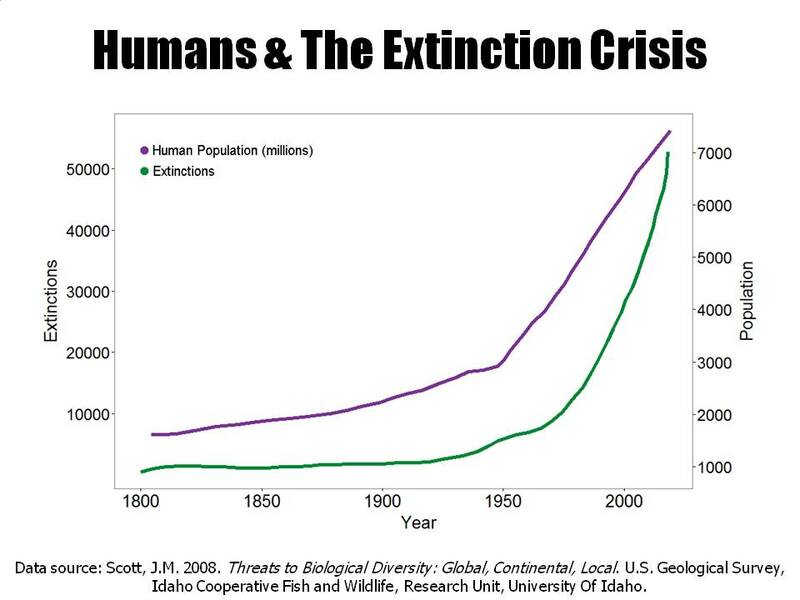 I can see it being possible to bend this curve down a bit more perhaps to your 1.9 number over the next couple of decades, which would rapidly freeze population growth and lead to 6 billion or so by 2100 and falling there after. I struggle to see the world getting it down to 1.5 anytime soon if ever. To repeat Europe is at 1.6 and is getting worried that this is too low. So what does it all mean? Realistic population policies around 1.9 won’t do much to limit warming to 2 degrees, but will help stop it reaching something like 5 – 10 degrees because this level of warming will take a couple of centuries during which population would be shrinking. That’s still a win for population policy. Here is a bipartisan fee and dividend bill just put before the US congress. This is very close to the plan that Hansen supports. I would urge all those who are US citizens to contact their representatives expressing their support for this legislation. On an individual level, it means letting go of everything you’ve built your identity on. It means realizing and fully understanding that you’ve been basically wrong about everything your entire life as mental narratives are seen for the babbling nonsense they are. It really doesn’t, and is impossible, anyway. No way seven billion people, including 2 billion new children/young adults, do this. And we don’t need to. I have said for a decade or so now, risks + solutions to meet needs. I can say, and too often do, get your ego out of the game! But how? Anyone have a one-size-fits-all way to do that? No? Then perhaps some sanity? Let’s ask a different question: Who wants to die, perhaps horribly? Nobody. (Well, bound to be a few…) Who wants to starve? Nobody. Who wants to die of thirst? Nobody. Who wants to die from heat? Freezing? Nobody. Who wants to live alone, die alone? Almost nobody. Who wants to do all the work it takes to survive, to a healthy old(er) age, by themselves? Almost nobody. Who wants to eat? I do! You do! We do! Let’s do! (<=== Nice song refrain!) Who wants to be warm/cool as needed? I do! You do! We do! Let's do! Who wants water to drink? I do! You do! We do! Let's do! Who wants clothes? I do! You do! We do! Let's do! Shelter? I do! You do! We do! Let's do! By shifting to problem-solving instead of navel-gazing, the shift is automatic. We don't lose those negative traits, but we do sublimate them. Of course, the "by yourself/alone" aspect is not accidental. Cooperation is imperative, even with people we don't like. There is no choice. You can choose to play the lifeboat game and throw people out of the boat, but then you get the whole, "You threw out Einstein, you idiots!" thing going. So, cooperate. Design to conditions, including population. Try to decide who gets to eat, be warm, be safe is a fools game that invites massive scale abuse. So don't do it. Just solve the problems. This approach eliminates the competition between belief systems, values, wants, desires, ideologies. Just do it! Kevin McKinney, #35, nigel, #41. I agree with you that it’s a positive that TFR is declining. However, forgive me for not celebrating if replacement rate or a little above still nets us a population near 12,000,000,000 at the turn of the century (for all the reasons I’ve been stressing). I think that perhaps you are not fully appreciating the devastation that a world population that high would bring. Just stop and think about it. Too, is it possible that the TFR trend could reverse to increase again for some reason? We’re talking future predictions based on current trends. Has that kind of prediction ever been wrong in the past (oh, that’s right, just about every time). You’ll say it’s ridiculous and naïve, but I believe we need to set a global educational goal of 1 and no children per family (knowing that lots of people would still have more). Thus the average could probably be closer to 1.5. And I believe that’s attainable. With enough education even stubbornly entrenched policies have changed before, though it usually entails running roughshod over some people’s wishes. I understand that there is concern about a possible population crash and about aging. Yet I believe that with the right attention, and a willingness to change and restructure our economies, we could figure it out. As starters I offer these papers. I’ll note, however, that I’ve not read them myself. I offer them merely as an aide to discussion. Robert McLachlan, #40. I agree with you on Rosling. I sort of shuddered when he stated on one of his videos I watched, ”One day Africa could hum with combine harvesters and tractors” . This is the situation wildlife advocates are in, appearing to be heartless, to only care about non-human animals. But that’s not it. Most people I know do naturally want the best for Africans and everybody else. Yet what’s best for people could well spell doom for many species on the edge. I find that incredibly sad. The biodiversity crisis looks even more difficult to tackle than climate change. It also suffers from less awareness by the general public and my impression is that it does not rate highly with them as an issue at all. Right, that’s my impression to. I do think that most people care in general, but we’re are so inundated with bad news as it is, plus distracted by all of those things that are designed to keep us distracted, that one day, in a moment of clarity, we suddenly realize that our world is now less than it was. And it’s a shock. The 2018 Living Planet Index got a fair amount of press coverage, but I found it striking that their chapter on “The importance of biodiversity” is all about the services nature provides to humans. Its intrinsic value and right to exist merits a single word in passing. Yes, that is the depressing modus operandi that environmental advocates seem to feel that is needed to get people to care. Appeal to our selfishness. Don’t let this or that part of the environment disappear because it may hold the key to cancer. Robert McLachlan, #40. Just read the great article you linked to. Everyone should read it. A couple of snippets. We need to resist the notion of some that a high future population is baked in and inevitable. ……… to the right wing and libertarian factions that have done so much to distort and politicise science. Good questions. I’ll give it a shot. First, Americans like free market solutions because they produce the best outcomes; a transaction doesn’t happen unless both parties think it is a good deal. Currently we have free markets for FF versus EV vehicles. Both are available, but most don’t want an EV due to high cost, limited usefulness (low range), etc. The fee and dividend US House bill mentioned in comment 43 is not, contrary to it’s wording, a free market solution. Fee and dividend is a government forced tax; it is the exact opposite of free markets. Americans ain’t interested yet. BUT, if we have a couple more super hot summers like this past one, more will come around to the idea of doing “something” about CC. Second, right wing and libertarians have not distorted science. They’ve watched as scientists have been caught fudging data, making errors, etc, and providing all the ammo against CC that is needed – all the right wing does is point out this stuff. We know that the story is deeper than the one we hear, but it doesn’t help the CC case. Third, Americans watch the left. They yell, scream, riot, elect socialists, wear genital hats, have witch hunts, put forward fee and dividend bills, etc. Yet, they all get in their gas hogs to go to work. They could drive fuel efficient cars, or bicycles. Nope, they don’t do that so it LOOKS like they don’t believe their own words. That doesn’t help the CC case. You mentioned a deep suspicion of government. It’s earned. Almost everything government touches is a failure. ACA Healthcare: abject failure. Prohibition: failure. War on drugs: failure. War on illegal immigration: failure. Legal immigration policy: failure. War on crime: failure. Smokey Bear fire prevention: failure. Maintaining the value of a dollar: failure. Funding Social Security: failure soon unless fixed. Medicare: failure soon. VA healthcare: failure for many. Opioid crisis: failure. War on poverty: failure. Paying our bills and not bankrupting children of the future: abject failure. The list is endless. We can predict with 99.999% certainty that fee and dividend will be just one more failure of government. The question does not mean they don’t believe in CC, it’s just that the magnitude of CC effects is not settled because it’s a complex system. Those on the right talk about this type of uncertainty with respect to CC effects; and even about the causes of CC. OK, we seem to be “in phase”, if not in agreement, now. First, I question using the other population pyramid number, but lets put that aside for the moment. Second, I strongly question your optimism on FF reduction, as I have said in the past, and so I am looking to minimize harm over the hundred year period (and further out). Can you at least answer the points I made to Wookey? We’re talking about billions here. You don’t think it would be better for all those people never to be born, which reduces the probability/magnitude of famine, war, and so on?